Shenandoah University has six home games on its 2018 slate. The Hornets have the extra home game this coming fall due to the addition of Ferrum College to the ODAC slate. This is the third time in program history, after 2001 and 2004, that SU has hosted six games in a season. The Wayne Theatre presents Shenandoah-The Untold Stories Behind the Impossible Park with Jim Lawson on Tuesday, Oct. 24. R.T. Smith, Shenandoah editor and Washington and Lee University writer in residence, won the 2017 William Peden Fiction Prize. Annie Woodford is the winner of this year’s $500 Graybeal-Gowen Poetry Prize for Virginia Writers from Shenandoah. Shenandoah has announced its annual prize winners for 2017. The Volume 65 winner of the $1000 James Boatwright Poetry Prize is Thomas Reiter. 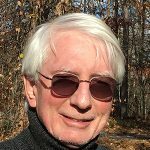 R.T. Smith, Shenandoah editor and Washington and Lee University writer in residence, has published his sixth collection of stories. 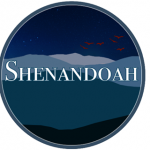 Shenandoah: The Washington and Lee University Review seeks submissions from Virginia poets for the 2017 Graybeal-Gowen Prize. Shenandoah VFW Post 8613 presented checks totaling $750 to the Shenandoah Police Department in support of their effort to obtain a new K-9 officer. Shenandoah: the Washington and Lee University Literary Review has announced its annual prize winners for 2016. Jess Quinlan of Staunton is the winner of the annual Graybeal-Gowen Prize for Virginia Poets offered by Shenandoah: The Washington and Lee University Review. The Harry F. Byrd, Jr. School of Business at Shenandoah University will host its eighth annual Business Symposium on Friday, April 1. Shenandoah: The Washington and Lee University Review is looking for Virginia poets to submit their work for the 2016 Graybeal-Gowen Prize. Shenandoah defeated Randolph Macon in Ashland on Wednesday night, cruising past the Yellow Jackets, 71-59. Good teams find ways to win. 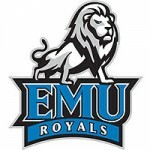 And on a night when two of EMU’s top three scorers had off nights, the Royals found a way to win. Maleke Jones came up big when he needed to, sinking the game-winning free throw with just two seconds remaining in an EMU 74-73 road win at Shenandoah. 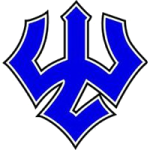 The Bridgewater women’s basketball squad snapped a three-game losing streak with an 87-71 victory Wednesday evening over Shenandoah University in ODAC action. 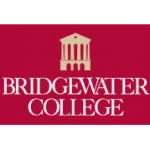 Bridgewater’s Kevin Saylor knocked down a 3-pointer at the buzzer Wednesday night to lift the Eagles to a 58-55 ODAC victory over Shenandoah University. 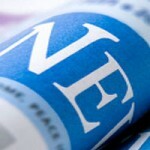 Shenandoah University, in partnership with Wesley Theological Seminary and the Virginia Conference of the United Methodist Church, has received a $600,000 grant from Lilly Endowment Inc. to establish the Shenandoah University Youth Theology Institute. The Shenandoah University men’s basketball team officially opened up its 2015-16 season Sunday afternoon with an 85-70 non-league victory over John Jay (N.Y.). Defending Patriot League regular season champion Bucknell University made the most of its 2015-16 season opener with a 107-61 non-league victory over Shenandoah Friday night. The Bridgewater College football team kicked off ODAC play with an impressive road win, pulling away from Shenandoah in the second half for a 39-21 win in Winchester, Va. This fall, Shenandoah University’s School of Education and Human Development, in partnership with the Virginia Association of Supervision and Curriculum Development (VASCD), will a conference on poverty for K-12 teachers, education leaders and others interested in issues related to education in Virginia. Flush with the success of their first scheduled event, June 11, the Shenandoah Marketplace is eagerly preparing for the July 2 market at historic Stevens Cottage in Shenandoah. Shenandoah Marketplace and the Shenandoah Heritage Center have united to offer fresh local produce and locally-made artisan products at a farmers’ and artisans’ market at Stevens Cottage, 201 Maryland Avenue (Route #602) from 3-7 p.m. on the first Thursday of the month, June 4 through Oct. 1. 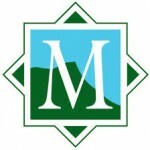 Massanutten Resort, a four season resort located outside of Harrisonburg, Va., in the Shenandoah Valley, announced the hiring of three executives. A portion of Route 801 (Hangers Mill Road) in Augusta County will close for about nine months beginning Monday, January 26, during replacement of a bridge over Jennings Branch. Motorists traveling throughout the Shenandoah Valley tonight, January 11 and into the morning hours on Monday, January 12 should expect to see icy conditions develop. The following is a list of highway work that might affect traffic in the VDOT Staunton Transportation District during the coming weeks. 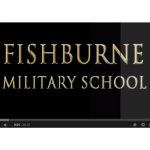 Highlights from Fishburne PG win over Shenandoah U. Highlights from the Fishburne Military School postgrad basketball team’s 85-53 win over the Shenandoah University JV team on Jan. 8. Produced by Augusta Free Press.Highlights from Fishburne PG win over Shenandoah U.
Augusta Free Press editor Chris Graham interviews Fishburne Military School postgrad basketball players John Whitaker and Devenir Duruisseau after the Caissons’ 85-53 win over the Shenandoah University JV team on Jan. 9. Poets and publishers from around the world will converge upon Bridgewater College Jan. 15-18 for a conference to celebrate poetry, creativity and the global exchange of ideas. The left lane of southbound Interstate 81 will be closed for repairs around mile marker 215 in Augusta County. The closure will begin at 8 p.m. on Monday, January 5 and is expected to remain in place until the early morning hours of Tuesday, January 6. 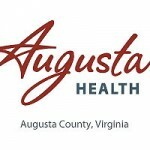 The January calendar of events at Augusta Health. Staunton Police are asking the public’s assistance in locating a missing adult, Cedric L. Smith, of Fishersville.